I'm always looking for an exciting new place to visit, explore and enjoy. 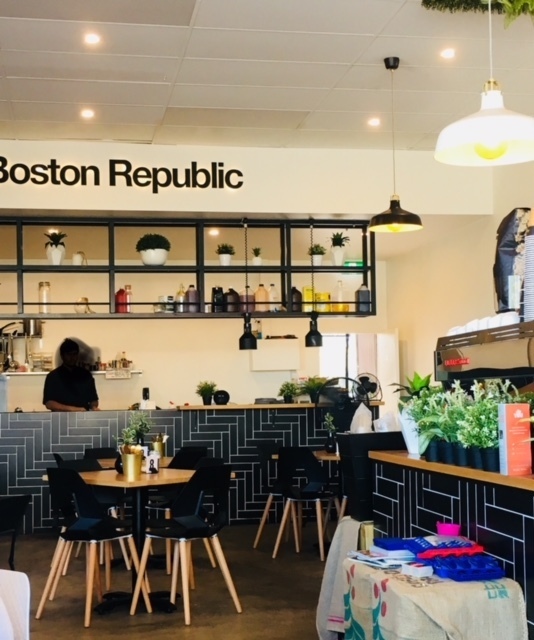 Generous portions, local produce, all day breakfast and vast kids menu makes Boston Republic a very welcome addition to the area the locals call 5-Ways at Eastwood. 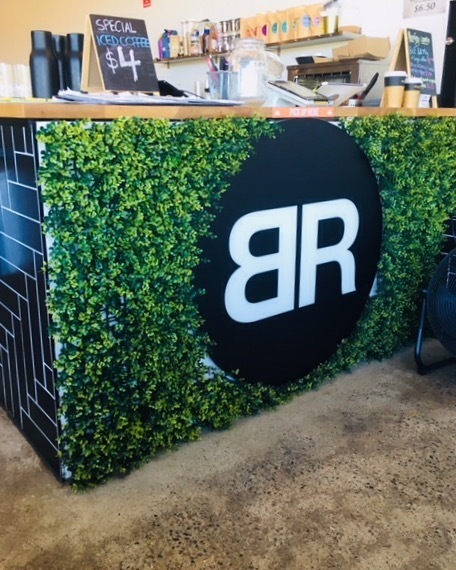 Serving breakfast, brunch, lunch, dinner and desert, this cafe has a menu to suit every taste. 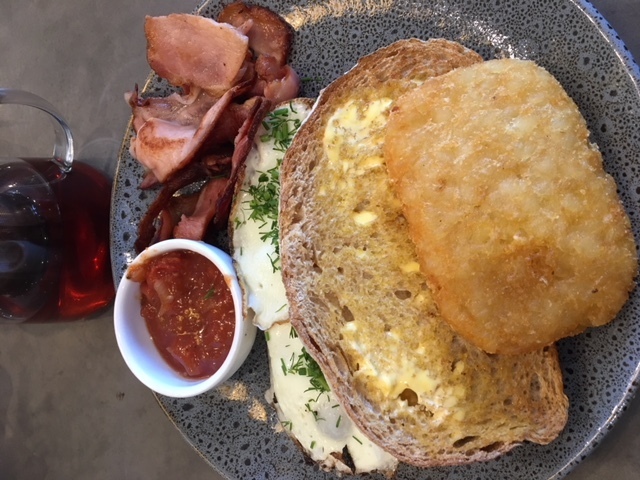 Including build-your-own breakfasts and burgers, diners can order exactly what they desire or get creative and try a new meal combination. 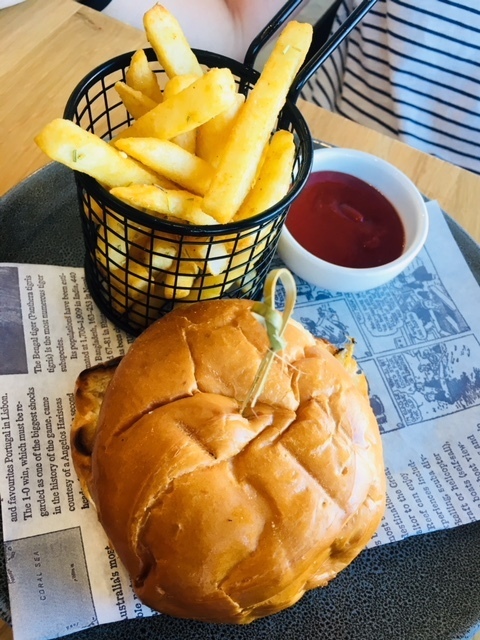 Specialties of the house include the Boston Burger with smokey tomato relish and the Boston Bowl consisting of grilled halloumi, crisp spinach, cucumber, avo with almond dukkah, cherry tomatoes, pickles, fried Lebanese bread, oregano and crunchy sweet potato served with tzatziki sauce. Sour dough stacks, toasties and sandwiches, salads, wraps and rolls and share plates - you're spoilt for choice. And the rosemary and sea salt fries served with many of the meals are divine. The kids menu is different to usual offerings and includes cheeseburger, lamb kafta skewers and grilled chicken salad to name a few. No unhappy kids here! The sweetooths are catered for with delicacies including churros, Belgian waffles and the Boston waffle cone platter, a waffle cone filled with vanilla, served with Oreo's, Maltesers, Tim Tams and honeycomb. 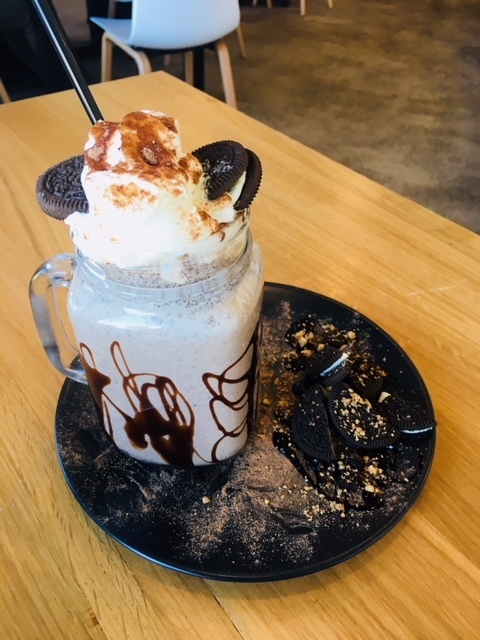 And if your 'thing' is Nutella then check out the deconstructed Nutella affogato, Nutella donut sundae, Nutella crepes and Nutella hot chocolate. Cosy and contemporary and suitable for larger or smaller groups the cafe is always buzzing. The staff are extremely friendly and accommodating - they even allow split bills. Gluten free options are available and with an onsite carpark with easy access it's just easy. Whether it's, breakfast, brunch or lunch, arrive hungry - with that many choices, you'll be tempted. 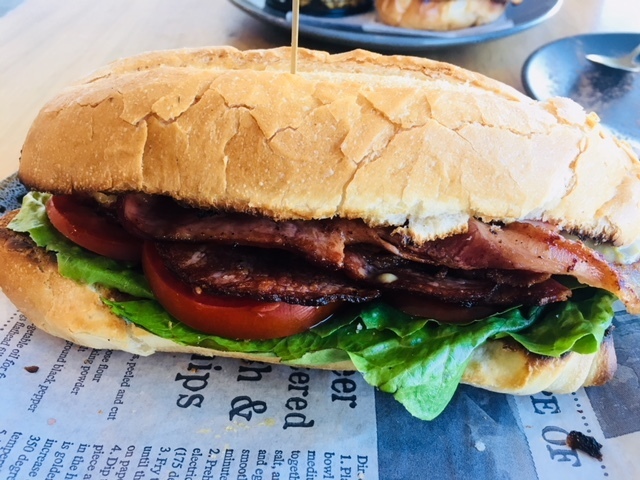 Ooohh, the shake looks amazing, as does the BLT. I'll put BR on my go-to list. Hi Lynley! Thank you for such a great review. Appreciate the time and effort you've put into this and glad you enjoyed yourself at Boston Republic. We hope to see you again soon!